The evergreen shrub or tree, Carob tree, grows in the Mediterranean area. The purpose of growing this tree is to get the edible seed pods. It can live in the warm temperate and subtropical areas and could bear the hot and humid environments in coastal areas. But it resists the drought. This tree is special in the southern Portuguese region of the Algarve, and in southern Spain, and on the Italian islands of Sicily and Sardinia. The fruits (carob pods) can be produced 6 to 8 years later. When the tree is 12 years old, 100 pounds of pods can be easily got a year. After that, the annual harvest could reach 200 to 250 pounds. The amazing point is that it can continue to yield carob pods for 100 years. As a common sweetener, dried carob fruit is traditionally eaten on the Jewish holiday of Tu Bishvat. Besides, the Carob juice drinks are always drunk on the Islamic holiday of Ramadan. Before the appearance of sugarcane and sugar beets, carob is always used as the source of sugar. The seeds can also be used in cosmetics, curing tobacco, and making paper nowadays. Thus, carob powder can replace chocolate to make cakes and cookies. The carobs are regarded as snacks in Egypt. The crushed pods can be used to make a refreshing drink. In order to achieve a good taste, many people try to combine the carob with raw chocolate nowadays. Chocolate has high amounts of magnesium and carob has high ingredient of calcium, which is about three times more than chocolate. However, calories in carob only equal to 60% of calories in chocolate. Moreover, like strawberries, Carob powder contains much V-B1 and there are more V-A than asparagus etc. 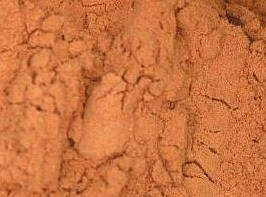 There are also Vitamin B2, calcium, magnesium, potassium, and the trace minerals iron, copper, nickel, manganese, and chromium in carob powder. The carob is famous for its treatment of diarrhea and is good for nausea, vomiting, and upset stomach.